At this point we find it helpful to explain what we mean when we say that we are a Christian school. Most non-government schools in Australia are affiliated with a religious denomination such as Catholic schools and Anglican schools. Our school is non-denominational. What that means is that our staff attend different churches and our school is not aligned to one denomination. When we use the term “Christian” we refer to the accounts of Jesus Christ found in the Bible. Jesus Christ said and did many remarkable things but the most amazing thing that he did for us is that he died on the cross so that we could have a relationship with God through faith. If you have a moment, the best video that we’ve found that explains this is called “Falling Plates“. Christians believe that faith in Jesus answers the big questions in life and it also compels us to be loving and generous to the people around us. Ultimately, we want to tell other people about Jesus and we want to make a positive impact in the world. 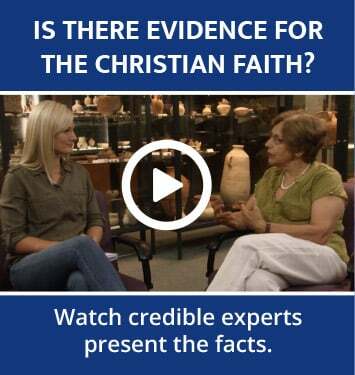 If you've never considered the claims of the Christian faith, you might enjoy this video series which we helped produce. As a Christian school, we talk about Jesus and we do things commonly associated with Christianity like reading the Bible, praying and singing. We also work very hard to promote a positive environment in the school where children can be free from bullying and other socially destructive behaviour. It is not our responsibility to tell students what to think. Our approach is not to brainwash or indoctrinate the students. Often, these methods result in students later rebelling and rejecting the Gospel. As a Christian school, students are not part of a protected habitat that seeks to isolate them from the harsh realities of life. Rather, students are taught resilience, persistence and optimism. Ultimately, we pray that our students will be a light in this world, with a deep-rooted faith and Christ-like character. Having said that, the school is merely a framework that supports students to think about their beliefs and to ask challenging questions. As a community of Christian educators, we are committed to walking alongside the students as they experience highs and lows, and in doing so demonstrate Christ’s love and grace. We want to build a biblical foundation in each student’s life during their school years. What a student does once they’ve finished school is beyond our influence, but the school will have given them the knowledge to make an informed decision.